Body armor must fit properly in order to work effectively! Proper fit is even more important for youth riders who don't have muscle mass to protect internal organs. 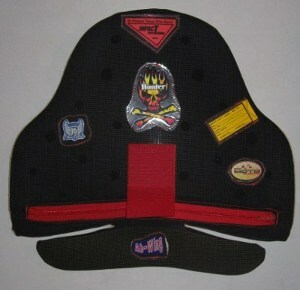 We offer the same high quality custom fit protection for youth riders that we do for adults. Youth armor is specially priced in order to allow parents to properly protect their children as they grow without the burden of paying retail each time new armor for the child is needed. The Child Armor Protection Program (CAPP) consists of special pricing and 2 re-sizing's as the child grows. This special pricing is in effect for the initial purchase and the two subsequent re-sizing's. After the 2nd re-sizing, a decision will be made as to the childs continuation with CAPP based upon the commitment of the child and parents to the sport of motorcycling. We offer CAPP to all parents (call for additional details). Made to measure protection for children made to the same specifications as the pro's.